Literature Related to "Seven Vagabonds"
Excerpts Related to the Theme of "The Seven Vagabonds." Excerpts Related to the Penobscot Indian from "The Seven Vagabonds." 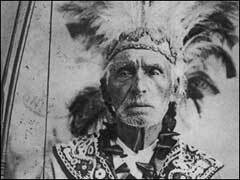 Additional Excerpts Related to the Penobscot Indian in Hawthorne's "The Seven Vagabonds." Complete text of Hawthorne's "The Seven Vagabonds." Journal Entry on Indians, 1837. Letter to Longfellow, June 4, 1837. Journal Entry on Thoreau, April 17, 1843. Letter to Evert Duyckinek on Thoreau, 1845. Excerpts from Thoreau's "The Allegash and East Branch."